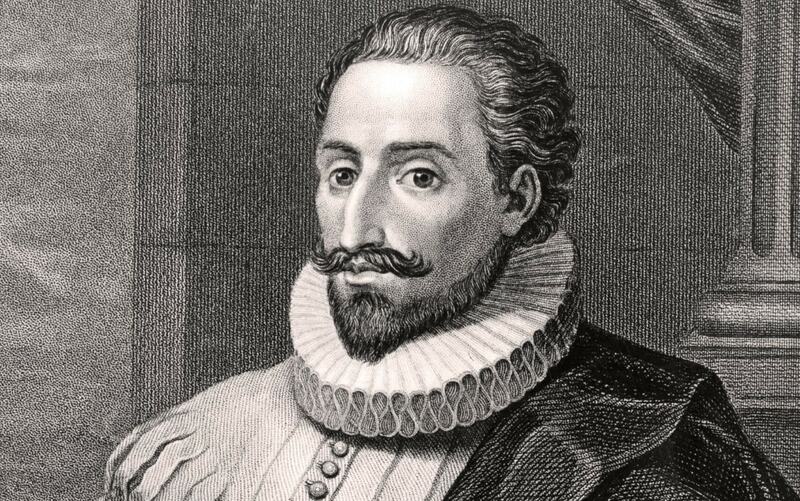 Four hundred years after the death of celebrated Spanish author Miguel de Cervantes on April 22, 1616, readers all over the world find themselves lost in the adventures of his most beloved character Don Quixote — a thin middle-aged man who fancies himself a knight — across the flat, dry plains of La Mancha in Spain. Comic book fans could easily recognize the wandering knight as a precursor to modern-day superheroes. Like Batman, Spider-Man and Daredevil, Don Quixote creates a new identity, makes his own armored-costume and risks his life to fight for justice. And like the novel, Cervantes’ real-life biography is full of legendary adventures that could inspire the wildest superhero comics. Portrait of Spanish novelist Miguel de Cervantes (1547 – 1616), circa 1600. Trembling with malaria and seasickness, the Spanish author survived one of the greatest naval battles in history — 150,000 soldiers fighting fiercely on oar-driven ships in the Mediterranean—after he got shot in the chest and left hand. Then on his way back to Spain, the war veteran was captured by pirates and taken to Algiers as a prisoner for five years until his family raised enough money to pay for his ransom. Readers today can see in Cervantes a champion of those seeking a better life in search of new opportunities. Immigrants and others who have left what is familiar can relate to Don Quixote, a character who is an outsider, an underdog fighting desperately to achieve his dreams. Cervantes lived most of his life in poverty, wandering from place to place with the hope of escaping from debt. He published his first novel “La Galatea,” a road story about two friends who love the same girl, without much success in 1585, three years before Spain’s “invincible armada” was defeated by the British. And as Cervantes watched his country collapse, the patriot hero suddenly became a villain—he was jailed twice, most likely because of his debt. The empire where the sun never set was now fiercely divided. And Cervantes, who published the first part of Don Quixote 107 years after the Jews were expelled from Spain—rose above religious, social and political differences to remind readers that everyone has a mixed heritage. Don Quixote: 400th Anniversary Edition. “By making Don Quixote’s origin intentionally vague, [the novel begins: ‘Somewhere in La Mancha, in a place whose name I do not care to remember’] Cervantes tells readers that Spain [like America and other countries] is a crossroads where people are both from ‘nowhere’ and ‘everywhere’,” Stavans says. By creating an imaginary narrator in Don Quixote with Moorish ancestry, the Spanish author challenges readers then and now to see their origin through the eyes of different people, imagine themselves both as “outsiders” and “insiders,” “immigrants” and “natives” to fully appreciate their diversity. 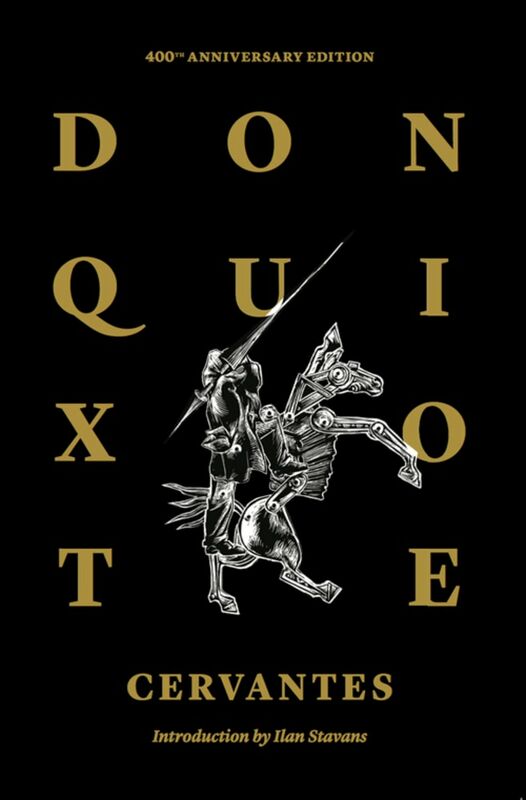 This urge to become someone else, and to be understood by others, still inspires fans from different countries — and in different languages — to fancy themselves as Don Quixote’s famous sidekick Sancho, and join the wandering knight on real and imagined adventures 400 years after Cervantes’ death. Stavans will publish a graphic novel adaptation of Don Quixote in October, coinciding with the New York Comic Con.